RTN started his activity at the end of 1960 giving assistance to his customers and helping them to find the most efficient and innovative propulsive solution able to satisfy the needs of owners, shipyard and designers. In the decades, the experience increased also thanks to the partnership with some of the most important international leaders in the naval sector for the propulsion systems, hydrodynamics and mechanics. RTN supplied hundreds of vessels of any type and size with propellers, shafts, reverse-reduction gearboxes, rudders, tunnel thrusters etc… These vessels sails the seas with the complete satisfaction of their owners and shipyards. In 2008 the experience gained, brought RTN to the ideation and realization of a new electric-hybrid propulsion system. The first design has been done with one of the biggest shipyard in the world and, very soon, a brand new trademark has been registered under the name “Auxilia Electric Propulsion” that identifies this technology all around the globe. There are few patents that protect the intellectual property of the system. Besides the auxiliary electric propulsion (hybrid) there was a natural step into the diesel-electric propulsion (full electric) always taking care about the solutions that has to be technologically “a l’avant-garde”. In 2013 a new partnership started together with the multi-national EMERSON Industrial Automation, permitted the acquisition of know-how and the capillary presence in every part of the world thanks to the service center EMERSON always available for the customers. Giulio Amici founded RTN in Milan. RTN and Reintjes GmbH signed a contract of agency for the Italian market. Following, other companies like Hatlapa, Schaffran Propellers, Noris Automation and Veth Propulsion have been added into the portfolio in order to offer a complete package to the customers. RTN moved into the new headquarter located in Castel San Giovanni (PC). Alberto, Giulio’s son, began his career inside the company. The company began the study of a new propulsion POD. The system has been patented. The property is now of Reintjes GmbH. 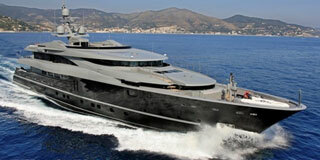 RTN realized the first hybrid propulsion for pleasure yacht, thanks to the partnership with the shipyard Azimut-Benetti. RTN moved the headquarter from Castel San Giovanni to Borgonovo Val Tidone. 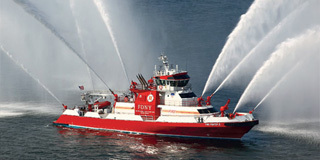 RTN signed a contract of exclusivity for the launch of the new propulsion system, called Fortjes, produced by Reintjes. 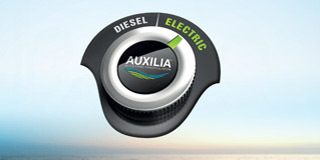 In the same year the company realized a patent for new hybrid solution called “Auxilia” and the patent for hybrid propulsion with inverter-less technology. RTN registered the brand “Auxilia”. A new partnership with the multinational company Emerson Industrial Automation started at the middle of the year. economic navigation with “e-shaft mode” (two propellers with only one engine running). maneuvering in harbour without emissions. 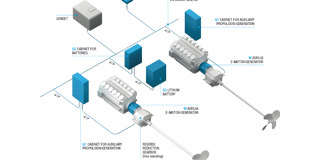 To be the world reference for the design and supply of innovative naval electric propulsion systems able to fulfil the requirements and satisfaction of the owners, naval architects and shipyard with particular attention to the ecology, energy saving, and comfort on board. Give to our customers our creativity, curiosity and passion cooperating together for their success through products of high quality and reliability.